Recent studies of 3M's medical adhesives evaluated skin wear time and more. Wearable medical devices hold promise for monitoring and treating a range of ailments, including heart conditions, diabetes, Parkinson's disease, pain relief, and more, said Dr. Diana Eitzman, director of agile commercialization at 3M's Critical & Chronic Care Solutions Division. "Wearables can help patients stay out of the hospital," she told Qmed. Developing "long-term" wearables can be challenging, however, given the nature of skin. "Skin is multilayer, and the stratum corneum layer of the epidermis sheds cells and replaces itself in 14 days," she explained. In addition, "the epidermis layer thins as you age and loses hyaluronic acid--it is an at-risk surface." And the skin of neonates isn't fully developed, she added. In her talk at MD&M East 2017, "Science of Skin: Challenges of Long Wear Adhesives," Eitzman outlined such considerations when developing wearables to be worn on skin and offered some insights for selecting the proper adhesive. She also shared results of some recent in-house clinical studies completed at 3M. Wearables could reduce the barrier function of the skin by taking off layers, she said. Tension blisters are also possible, particularly when adhesive tapes securing devices are stretched prior to application to the skin. These medical adhesive related skin injuries (MARSI) can put patients at risk of infections, and MARSI can be more likely among immunocompromised patients, she explained. 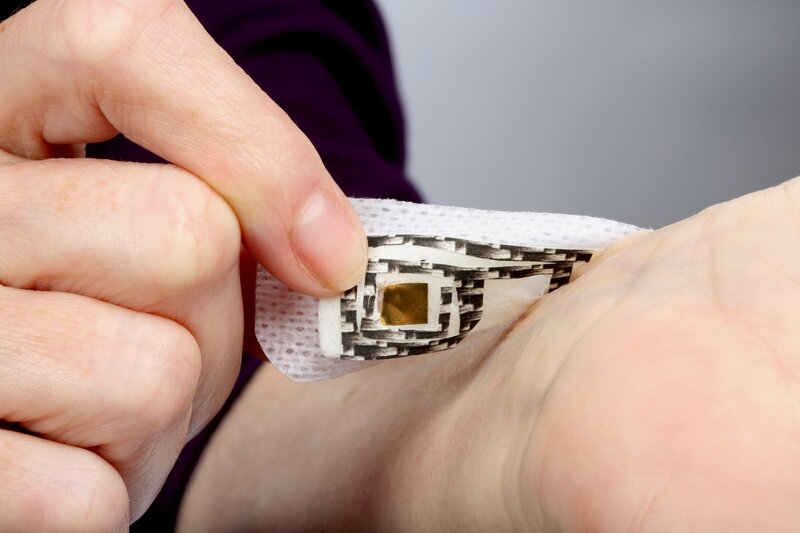 Consequently, "when evaluating and testing adhesives for wearables, you want to make sure you won't be causing MARSI," she said. There are a wide variety of adhesives that are suitable for wearables, Eitzman explained, and if the device wear time is only 3 days, an aggressive adhesive isn't needed. There's a trend, however, toward developing products that would reduce the number of times a patient would need to go back to the hospital or doctor for treatment, thereby "improving the lives of patients," she said. "We'd like to get to a 7-day or 14-day wear time so the patient has to think about the device as little as possible," she said. And products that are easier and simpler for patients to use can lead to better adherence and clinical outcomes, added Marcello Napol, global business director, Medical Materials and Technologies, for 3M Health Care Business Group. 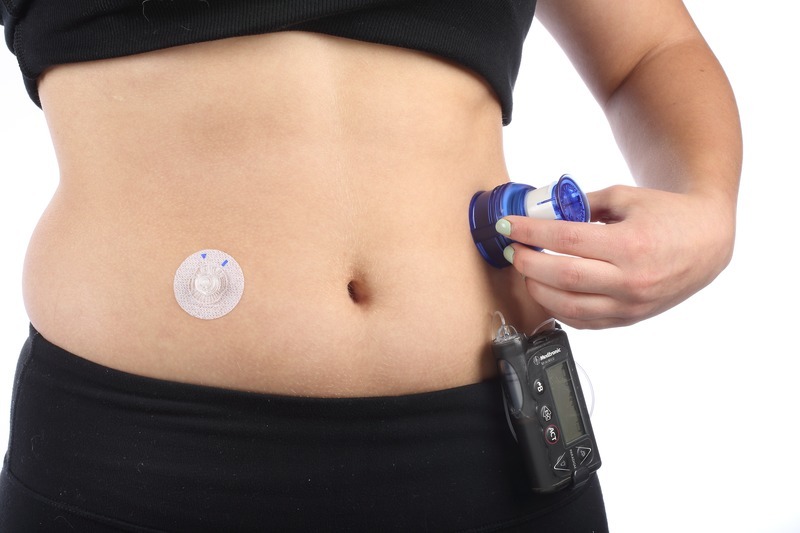 To help wearable manufacturers develop longer-wearing products with minimal risk, 3M conducted internal clinical studies with an institutional review board to look at the wear time of its medical adhesives. "We did an 8-day study to differentiate which adhesives are good for 3-day wear times versus 7-day wear times," she said. A study evaluating adhesive samples placed on patients' backs produced a fair number of candidates for 7-day wear times, and then 3M advanced those candidates for a 21-day study. "If a sample did not fall off in 10 days, it was taken off to evaluate skin for health, pain upon removal, and wear time and lift," she said. "If an adhesive had more than 80% of samples attached with less than 20% lift, it was considered a 'positive' result." Further studies were done with mock devices that patients wore on the chest and abdomen. "We found an experimental construction that had a 100% survival at 15 days," Eitzman reported. "We also found evidence that devices with a skirt, where the stick-to-skin tape extends a small amount beyond the footprint of the device, improves wear time. The skirt changes lifting forces at the edge of a device from a 'peel' failure mode to a 'shear' failure mode, resulting in longer wear time." One of 3M's experimental silicone formulations reached 7 days, while experimental acrylates reached 14 days, she said. Silicones may also allow patients to peel off devices and reapply them, she added. And 3M is looking at developing products with improved extended wear, she said. 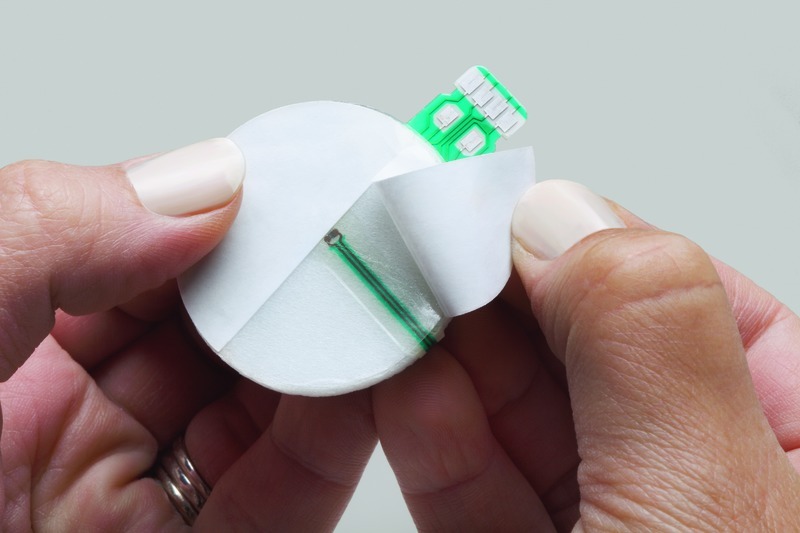 Eitzman believes that medical wearables would initially be applied by clinicians and then patients would be instructed on how to perform subsequent applications. In addition to some of the applications mentioned earlier, others include temperature and pulse monitoring, wellness products, TENS devices, and more. For more details about the study, please see this white paper on 21-day wear time and visit 3M's Web site. Visit 3M Medical Materials & Technologies at Booth 3113 at Medical Design & Manufacturing West 2018 in Anaheim February 7-9, 2018.